Previously, we thought about building product over three timelines – 6 weeks, 6 months and 6 years (which Paul catchily referred to as the “666 mindset”). But now the 6 month roadmap is no more. 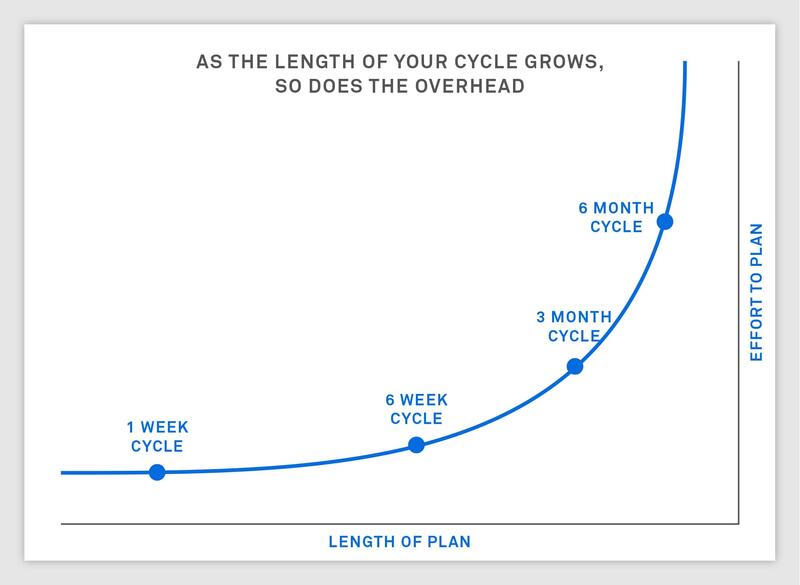 The one constant, the core of that framework that we’re doubling down on, is the 6 week cycle. Here’s how we think about it, and what it looks like in practice. It might take the team two months to finish those 5 projects, or it could take two quarters. Doesn’t matter. This simple list of 5 projects unlocks the next step – the 6 week cycle. Each goal of the 6 week cycle is specific and measurable, and teams are held accountable for them, particularly the primary goal. This requires a subtle balance – you don’t want teams to become cautious, otherwise they won’t hit any goal. So we don’t expect perfection. Missing goals happens. 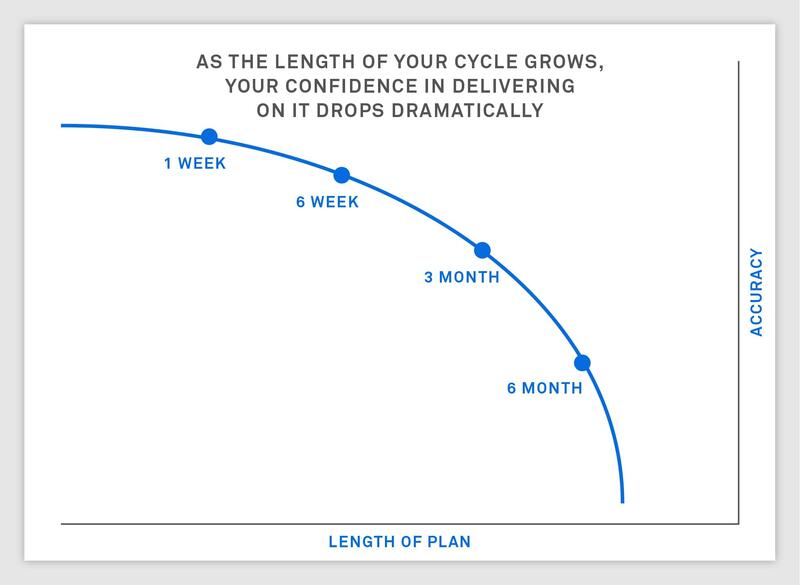 But teams should feel good about what they’re committing to – that it’s achievable and something they’d feel proud about delivering in 6 weeks. It should hurt to miss your goals.